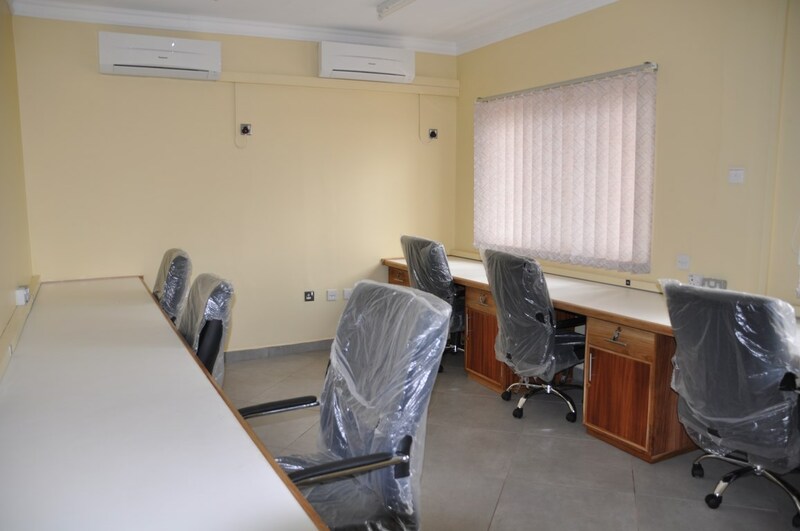 The popular yam barn offices in the IITA-Ibadan campus have been refurbished, giving them the look, ambience and name expected of a building where good science grows. The new facility will now be known as the “IITA Root and Tuber Improvement Team Center”. 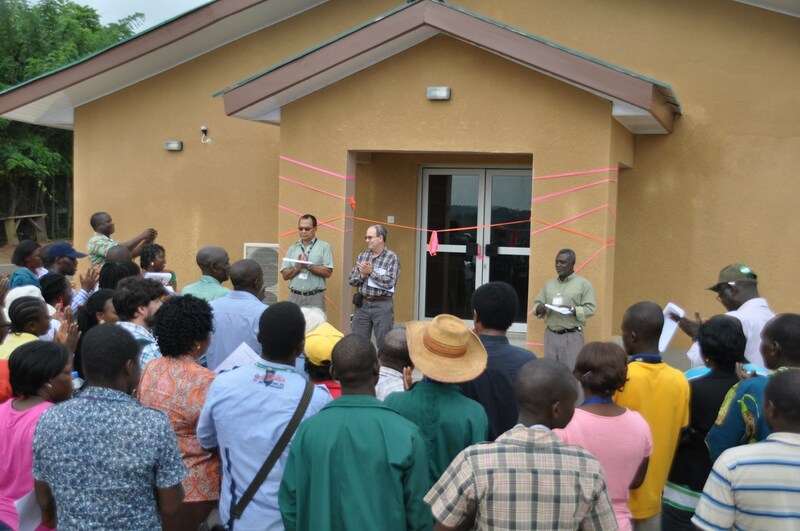 The office building is shared by scientists and researchers involved in all of IITA’s yam and cassava research. It accommodates close to 50 of the 100-plus members of IITA’s workforce comprising yam and cassava breeding staff, students, and technicians. The Center now has tastefully furnished offices for scientists and students, a laboratory, meeting room, 44 standard workstations, 55 lockers, and a lobby for guests. The entire building is fully air- conditioned and also equipped with CCTV cameras, internet facilities, and fire safety devices. The new Center was commissioned on 8 July. It was an occasion for people to know and appreciate the building and to also charge those handling the facilities there to take good care and maintain them. During the commissioning, Dr Robert Asiedu delivered a goodwill message where he told the story of the yam barn which had been in existence for over 45 years and the great transformation achieved. Dr Alfred Dixon added his voice, expressing his delight in the real transformation of the facility. He supported Mrs Charlotte Sanginga, the wife of the DG Dr Nteranya Sanginga, in officially opening the building. 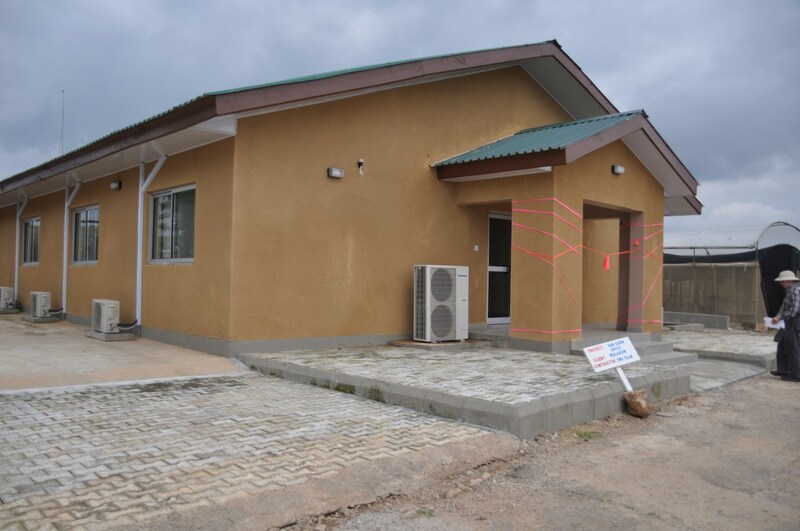 The beneficiaries for whom the building was reconstructed expressed gratitude to the DG and management for this gesture. They also recognized the vital leadership of Dr Peter Kulakow, IITA cassava breeder, and the role the Facilities Maintenance Service (FMS) team played in the completion of this project. “There is no doubt that good science will take place here” Dr Parkes added.